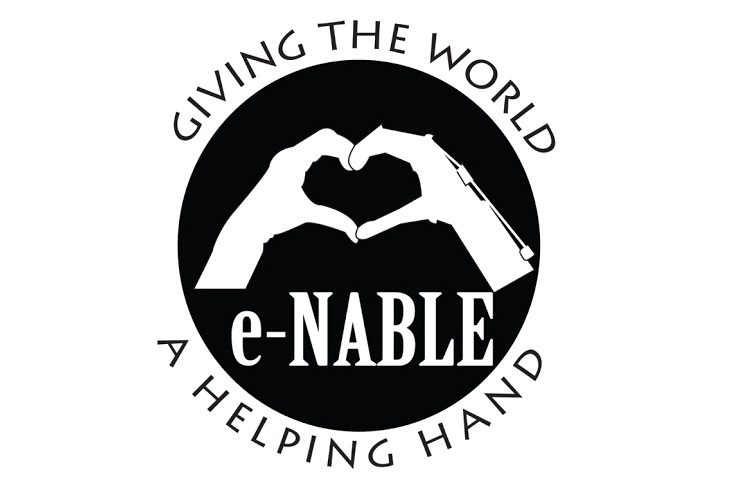 The company e-NABLE is one of the most prominent figures when it comes to helping the disabled. They are comprised of people who make 3D printed prosthetics and giving them to those who would need them the most. Many people have come to know the existence of this company. 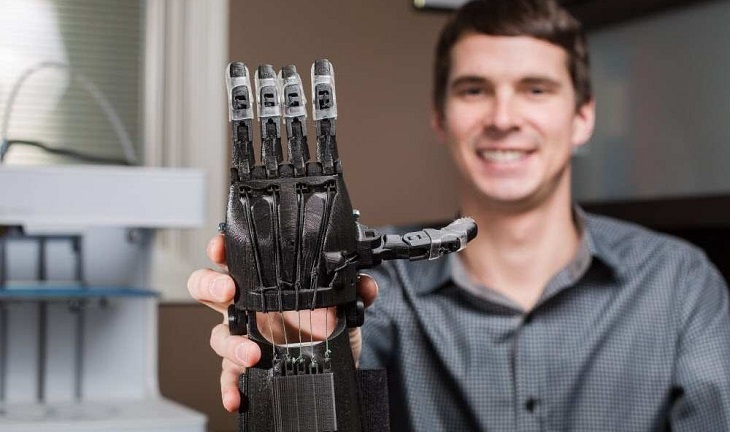 There are volunteers who offer their time, money and even their 3D printers so that the people at e-NABLE can produce 3D printed prosthetic hands. For as much as $100, a person can now have something that they are literally missing. 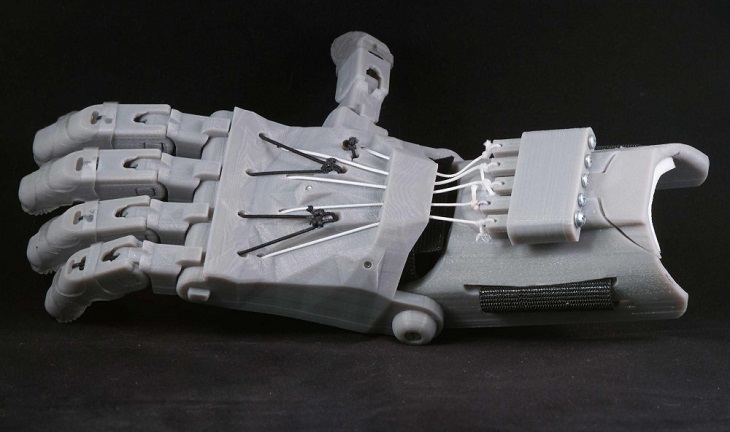 That’s how much a prosthetic hand would cost when it is manually printed using 3D printing technology. The non-profit organization is enabling disabled persons by giving them prosthetic hands for free. Print Your Mind 3D is a printing business based in Calgary, Alberta and it is owned and operated by Colin Pischke. He is a 3D printing designer and he has taken notice of the efforts made by e-NABLE. Colin has become a very prominent figure in the local community of 3D printing enthusiasts. A dignified member of the Calgary 3D Printing Club and the mayor of the Calgary 3D Hubs, he opens up the opportunity to learn more about 3D printing to students within the locality. He teaches both the students and their teachers about the cool uses and efficacies of materials that are made from 3D printers. He works hard to include 3D printing in the classroom setup. Colin immediately grabbed the attention of Aaron and asked him if he was willing to put on a program that would let the students help with the printing of 3D prosthetic hands for e-NABLE. With enthusiasm. Aaron was able to devise a plan to hold a school event that allowed students to print 3D prosthetic hands. After they have printed the artificial hands, they would then donate them to e-NABLE. The on-site printing event is to be held at the city hall, where even the rest of the community can participate in creating artificial hands for poor people in other countries. The goal of the event is to make a minimum of thirty e-NABLE hands. Colin has pushed a GoFundMe campaign that would raise the $3,500 needed to fund the 3D printing event. He would also need to gather the materials, the volunteers and, of course, the printers. The people at e-NABLE would then send in the schematics for the 3D prosthetic hand. Hopefully, the funding campaign and the entire event would be a great eye-opener to those who want to make a difference in the world.